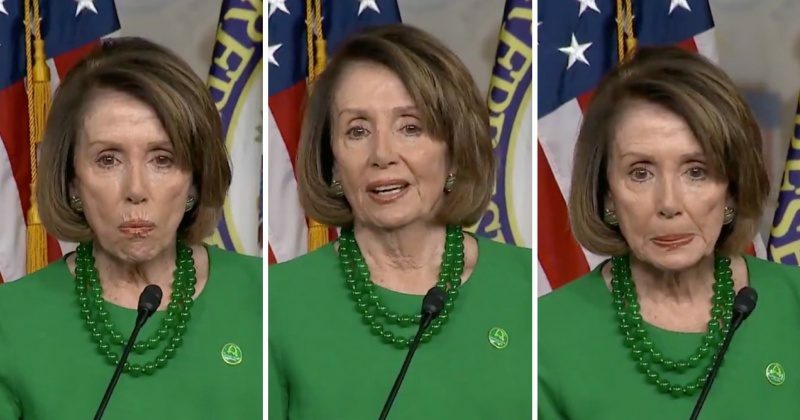 House Minority Leader Nancy Pelosi (D-CA) held a televised press conference on Thursday where she was her usual self, stumbling and stammering over questions she ought to be able to answer with ease after this much time in politics. When she was asked about “illegals” and building the wall, she let a little secret slip about her true priorities. Of course, this is not the first time Pelosi has made it abundantly clear that she cares more about illegal immigrants — many of them dangerous criminals and hardened gang members — than she does about the safety and security of American citizens. It is truly stunning that with so many Americans struggling, whether it be veterans who cannot find a job or get medical care or children who are going to bed hungry, that the Democrats will fight so damn hard for people who don’t even belong in this country. Then, in the next breath, they’ll vilify President Donald Trump for his efforts to put the needs and concerns of those struggling Americans first. Imagine, for a minute, all of the progress which could be made if the Democrats would put down their pitchforks just for a little bit and focus on helping Americans who are in desperate need instead of illegal immigrants. Imagine all that could be accomplished for the taxpayers who line their pockets if, for once, the entire political left agreed to simply work toward making life better for Americans. Of course, this is the way things should work in Washington. It should go without saying that our lawmakers ought to put their constituents first. But, sadly, this only seems to be a concern of conservatives. It’s no wonder we see reports on a near daily basis of an innocent young woman or a mother being violently raped or killed by an illegal alien who had already been deported multiple times. The madness needs to end. It is unlikely that will happen anytime soon, though. The Democrats know that the more illegal immigrants they can help into this country, the more votes they can count on come election time. With that sort of incentive, it’s really not surprising that they’re so against building an impenetrable border wall — it would make it immeasurably harder to steal elections.